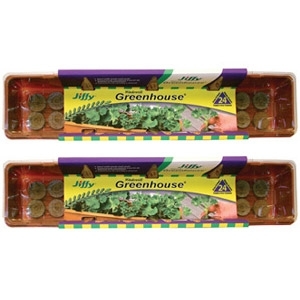 With Jiffy greenhouse kits, even beginning gardeners get professional results. Kit includes tray, dome, and 25 Jiffy 7 peat pellets. 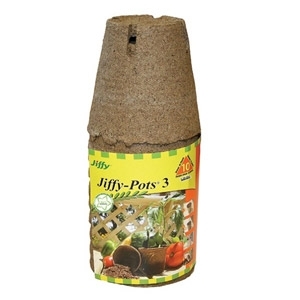 Jiffy 7 peat pellets expand to form pot and soil all in one. 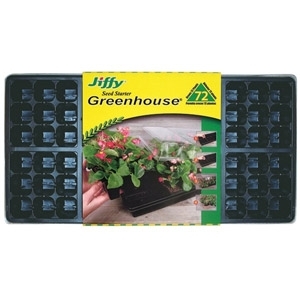 Jiffy Windowsill Greenhouse 24 grows 24 plants. Soil included, just add water! 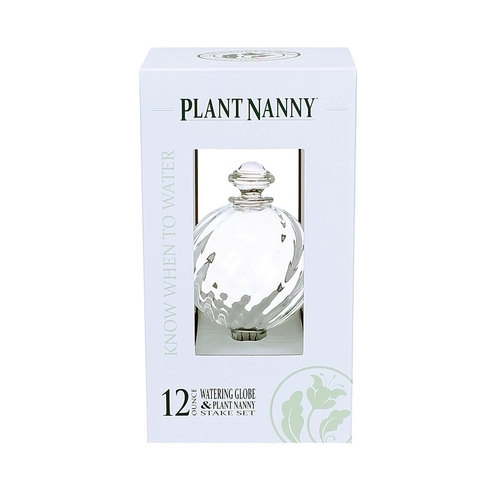 The clear domain maintains humidity and warmth during germination period. 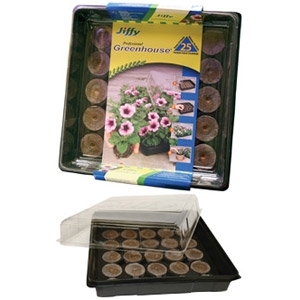 Easily transplants in a Jiffy Transplant Kit or directly in a garden! 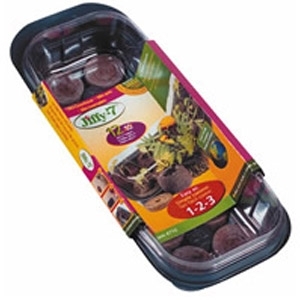 Contains reusable tray and dome made from recyclable plastic and 12 Jiffy-7 peat pellets. 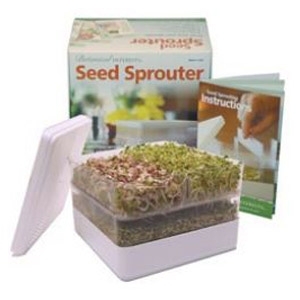 Convenient, no-mess way to start flower and vegetable seeds and cuttings. 18" oval window box planter. Injection molded with saucer attached. Available in several sizes and colors. Robert Allen, LLC. 10" Blue Moon Traverse Planter. 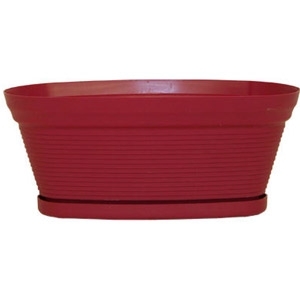 Stylish indoor/outdoor planter with attached saucer. Available in several sizes and colors. Robert Allen, LLC. 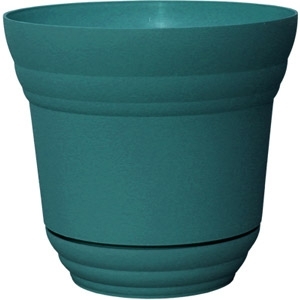 The terracotta stake is specially designed to release just the right amount of water into the soil via an elegant, fluted glass reservoir globe. Create a reservoir with the inverted globe, attach it using the drip-free adapter, and the stakes will quench your plants' thirst on your behalf. As your plants absorb moisture from the soil, the stake will automatically release water directly into the soil, rather than on the surface, ensuring that root systems receive an adequate drink. 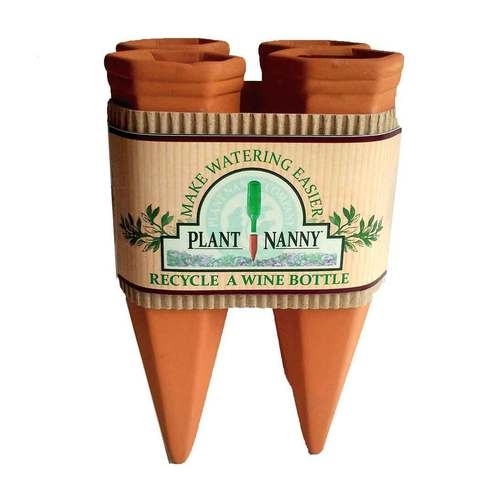 Each ceramic stake is specially designed to release just the right amount of water into the soil via recycled wine or plastic bottles, making your gardening endeavors a little bit greener. Create a reservoir with the inverted bottle of your choice, attach it using the drip-free adapter, and the terracotta stakes will quench your plants' thirst on your behalf. As your plants absorb moisture from the soil, the stakes will automatically release water directly into the soil, rather than on the surface, ensuring that root systems receive an adequate drink. Introducing the NEW Botanical Interests Seed Sprouter. Now you can grow up to 4 varieties of our healthful, delicious sprouts at once.We designed our sprouter to work better than the rest. Our larger trays and unique removable tray dividers give you lots of options. 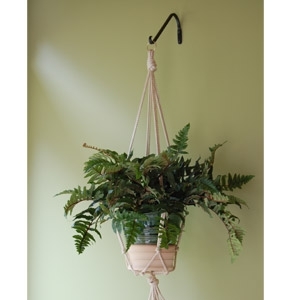 Primitive Planters now offers Macramé Plant Hangers in 30″, 36″, 42″ and S-Hook style. Colors include Jute (tan), Black, Brown, Pecan, Rust, Sage, Navy Blue, Royal Blue & White.